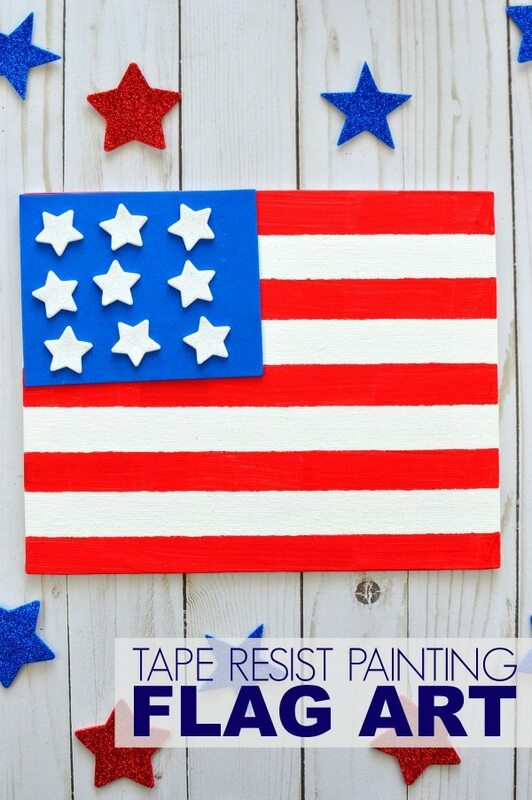 We have partnered together with Baby Einstein today to share this gorgeous tape resist painting Fourth of July Craft with you. I was compensated for this post and all opinions expressed are my own. 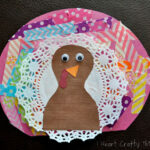 Making arts and crafts projects centered around the holidays is one of parent’s favorite ways to create long lasting holiday memories with their children. 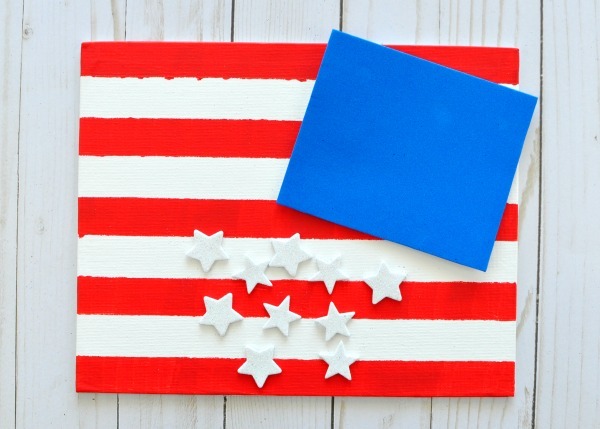 If you’ve been looking for a great way to get your toddler involved in an art project for the Fourth of July holiday we have the perfect project for you today. 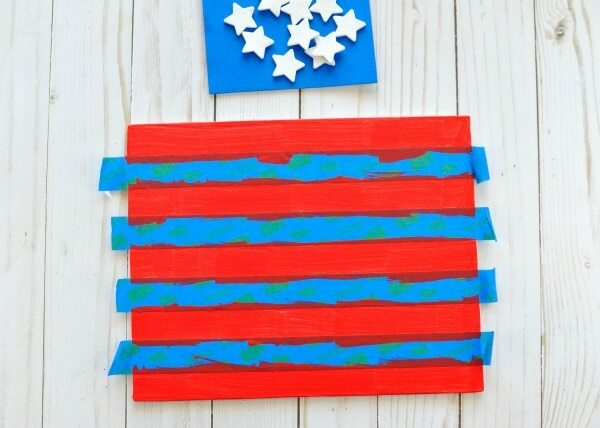 This tape resist painting Fourth of July Craft is great for introducing little ones to painting and the result is gorgeous. You’ll want to keep it on display all season long. One of Baby Einstein’s missions is to nourish the curiosity of young children. I love this about their brand and it’s the exact reason I began doing arts and crafts projects with my children at a young age. Allowing children the opportunity to learn how to use different art mediums and materials is a great way for them to discover and foster their own creativity as they grow older. 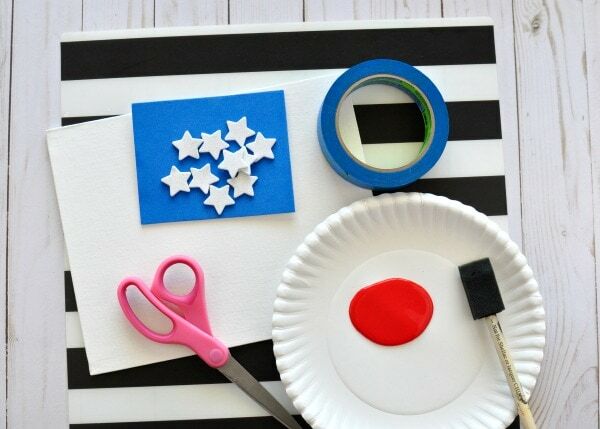 This fun Fourth of July Craft we are sharing today gives little ones experience with tape resist painting and provides awesome fine motor work by using stickers. Kids love playing with stickers so they’ll never know that peeling off the back to all the stickers is actually fabulous muscle work for those small hands and fingers. 1. Gather all of your supplies. Prep the canvas board for painting. 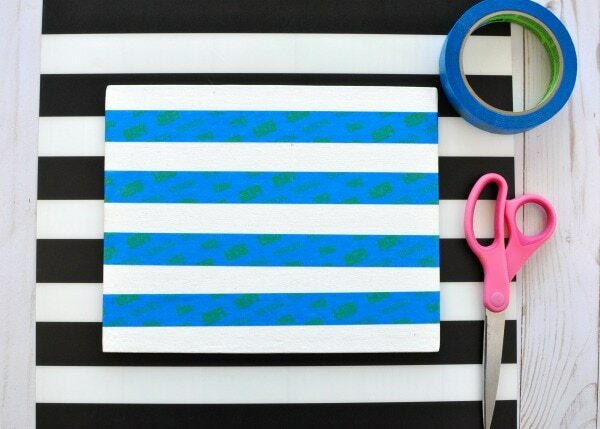 Do this by using your painter’s tape to make stripes on your canvas. We did not measure them exactly just eyeballed them to be as evenly spaced as possible. 2. Pour some red paint onto a paper plate. Now let your child have fun painting the white stripes on the canvas board with the red paint. No worries if it gets messy or paint gets onto the blue tape because it will be removed. Allow the paint to dry completely. NOTE: To make this project baby friendly, consider using non-toxic finger paints and let your baby have fun painting the canvas with their fingers. 3. Once the red paint is dry, carefully remove the blue painter’s tape revealing the red and white stripes on the Fourth of July craft. Remove the adhesive on the back of the blue foam sheet (or have your child do this) and place it on the upper left corner of the canvas. 4. Now comes every child’s favorite part. Peel the backing off the white star stickers and place them all over the blue foam sheet. 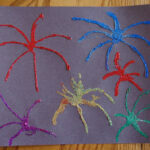 Your colorful Fourth of July Craft is complete! 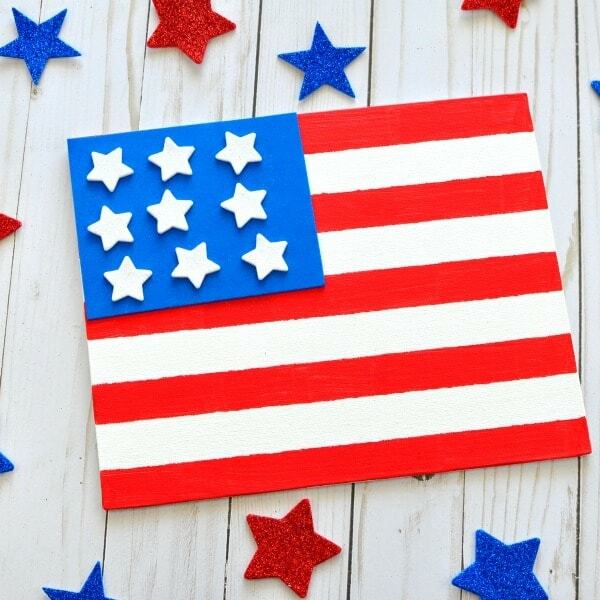 Put the beautiful flag art on a photo stand or hot glue some ribbon to the back of the artwork and display it on your front door for some patriotic decor. Make sure to subscribe to Baby Einstein on You Tube for engaging videos for your little ones to watch and for upcoming arts and crafts ideas that you can make with your children. 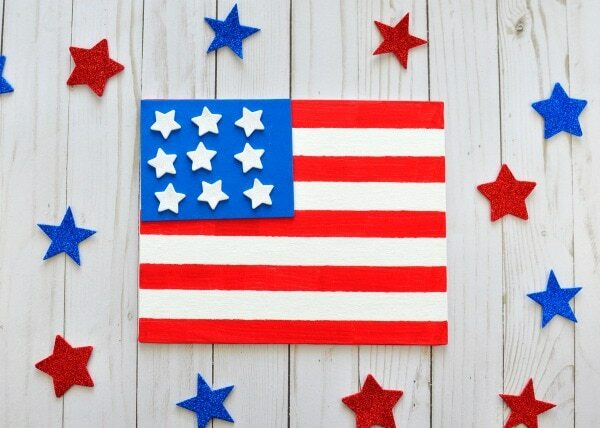 Looking for more awesome Fourth of July Activities for kids? Your kids will love making and playing with these patriotic DIY Bubble Wands.